Working at a GHC instructional site? 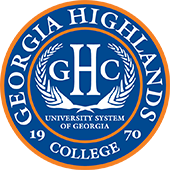 If you’re a member of Georgia Highlands College’s faculty & staff, click the button below to log on to the GHC Employee Portal. Working offsite? VPN Access is required. Faculty & staff can access the GHC Employee Portal offsite with VPN software. If you would like to contact a member of our faculty, staff, or administration, use our directory. If you’re interested in joining GHC’s team of faculty and staff, please visit GHC Employment or send an email to humanresources@highlands.edu regarding available positions.